Share the post "Papery Peep January 2015"
OK, I may, may have popped into Paperchase again. I’m starting to think I should take out shares in that company! Anyhoo, I bought this little bundle…. All for a bargain £9.02! Oh yes, that was a happy day for me! I do hope it did raise a smile with the gorgeous recipients. I enjoyed reading a variety of genres this month, and of the 5 books, 4 of the authors are new ones to me, too. I’d say I most enjoyed Prophecy, if ‘enjoyed’ is the right word for it? I whizzed through that in a couple of days, and it is a spooky one! I least enjoyed The Dressmaker. Despite it drawing me in beautifully initially, I found the characters began to exasperate me mid-way through and the ending was disappointing. I’m looking forward to Maggie Fenton releasing more books, as this was her debut and I’m keen to read more, and I’ll be looking out for more Tess Gerritsen from now on. I’ve read several Lackberg’s and have a couple more in my reading pile, too. And then to ‘Create’. I found this a little trickier than the other two, but I was determined. So what did I come up with? A colouring book. An adult colouring book, which has been so calming and restful, I see this being a new habit for life! So come on, tell me about your month in paper? 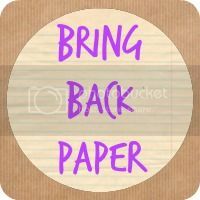 Have you had any lovely buys, read great books, been on papery trips, received some gorgeous snail mail or taken part in the #BringBackPaper challenges? Whatever it is, if it’s papery, I want to read about it! 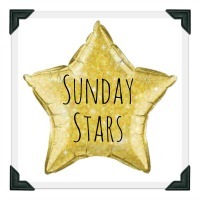 Write your post, grab the badge from my sidebar, link up, and please do visit and comment on other linked up posts, too. Enjoy! Love this! January seems to have refuelled my stationery addiction and after reading ‘Late Fragments ‘ by Kate Gross I am motivated to ensure I find the time to read for me. It’s lovely to read that as well as managing to keep such great content on your blog so have found a way to maintain and incorporate paper. And what lovely paper!! Love the look of that colouring book too! There are no paper chases near me which is probably a good thing for my bank balance! I’ve linked in a post from earlier this month. I think I’ve been in some sort of time vortex and lost my bearings and plans for posts! Great Papercnase purchases and a fab price too! I really like your idea of happy post and sending someone a nice surprise in the post. I think I need to do this a bit more. I’m so envious of your paper/stationary collection. I used to collect them too when I was young, and well into my late teens, but stopped. I never should have done that. Because of you, I have this yearning to start all over again! 🙂 #bringbackpaper. Iona@redpeffer recently posted…The reality of blogging and how much do you share? Oh no, that is just so wrong! A healthy addiction in my book! For create I’m wondering if your colouring book is by Johanna Basford as it looks similar in design to my Secret Garden one! That stationary haul looks fab, and such a bargain – I am intrigued by the colour-changing pens! I do love a stationery bargain!